Traveling? Don’t Forget Your Insurance Cards! Remember this road trip fiasco? Remember that road trip we went on when Erin broke her foot? Well, we’re not trying to jinx your trip, but it’s a really good idea to be sure you have all your insurance information with you when you travel. We’ve been on a couple of trips when we’ve had to visit a hospital for medical care, and just this weekend Jeff’s mother was visiting us and broke her foot. Having medical insurance information readily available was key in all of these situations. It’s also important to know how your medical insurance coverage works before you go. For instance, our insurance doesn’t cover us if we go to a doctor’s office out of network, but it does cover us if we go to an urgent care or emergency room. And we can’t get advice from our own medical clinic over the phone if we’re out of state, either. It can be a little tricky. “Know before you go” is a good policy. Both our moms on our limo trip. A little champagne helped dull the pain! 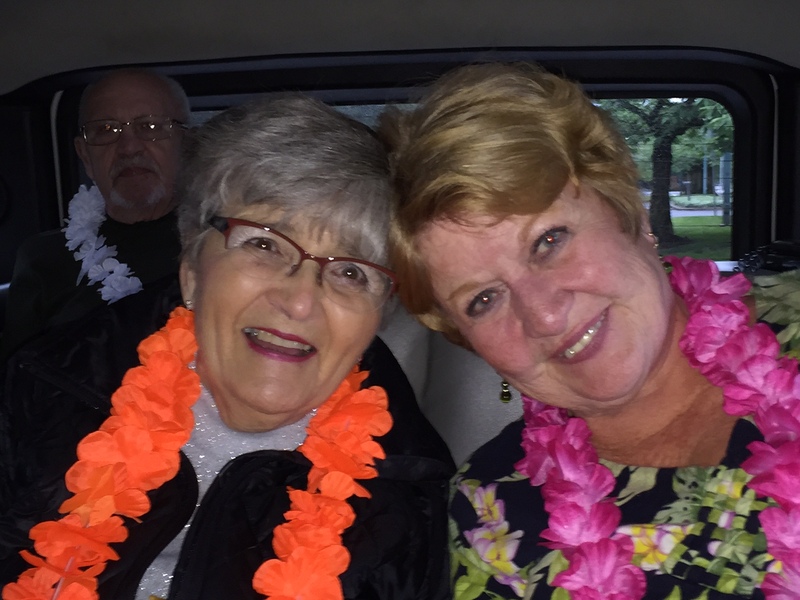 Jean was a trouper — right after it happened, she still went on a limo ride! (We hijacked the kids’ prom limo while they went to dinner — a great tip for all you parents with prom-aged children!) 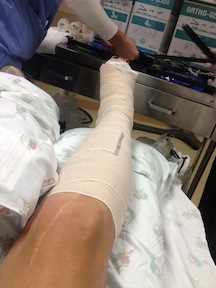 But, she still ended up at urgent care getting a boot and will need to see an orthopedist when she gets home. Silver lining: she’ll get to ride on one of those cool little golf carts at the airport on her way home! Being sick or getting hurt is not the most fun way to spend your vacation, but it’s a lot easier to deal with when you know where to seek help and aren’t trying to figure that out on top of not feeling well. Add your health insurance cards to your packing list the next time you travel! We said UGH. 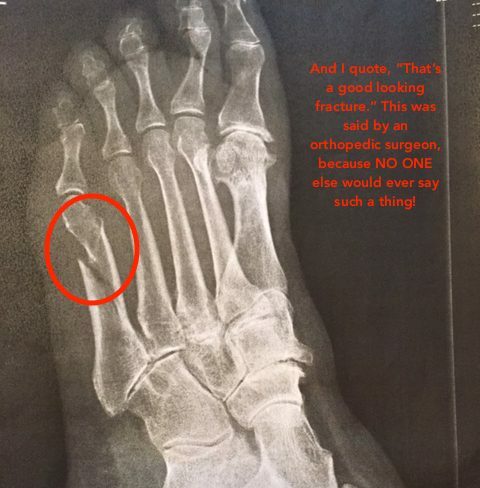 Check out what the surgeon said! We hope that your next trip is safe and healthy, whether it’s for a week or a weekend!